Most patients hope that their doctor will provide them with both medical expertise and empathy. We want a blend of scientific skill and emotional support – a sharp mind , as well as a shoulder to cry on. Sadly, just the fact that the doctor has a medical degree certificate means very little today. Many of these doctors have passed out from private capitation colleges, where the only language which the faculty speaks is that of money. What matters is not your IQ or your hard work – it’s just the size of your ( father's) bank balance. Degrees are available for sale, and are no longer a trusted badge of competence ( and if you don’t believe me, ask a family member who is a doctor what their frank opinion is about the quality of the medical graduates who are passing out these days). However, old is not always gold either. Many of the old timers continue to practice inspite of the fact that their medical knowledgebase is outdated and obsolete. They can be equally dangerous because their clinical skills have atrophied over time , and they have failed to keep upto date with recent advances. This is why patients are often forced to blindly trust the scientific competence of their doctor. However, it’s hard to do so , especially because the medical profession seems to have frittered away the trust which people used to have in it. 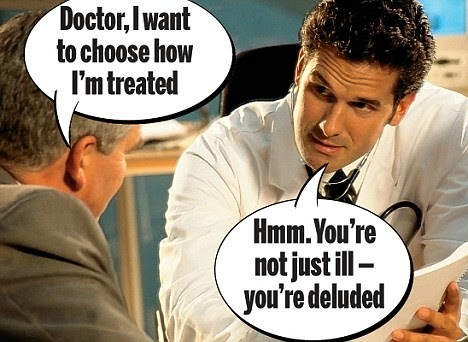 Doctors are often treated with suspicion . At the back of the mind, the patient is always worried – is the doctor advising these tests in my best interest , or in the interest of his bank balance ? This is why we spend so much time and energy in finding the right doctor. While some of us get lucky, we don’t need to feel helpless. Just like the passage of time has created new problems , it has also thrown up new solutions as well. Today there is a whole group of people who can provide us with exactly the same level of medical expertise which doctors can. The only difference is that they don't have the paper degrees which doctors have . Depth of knowledge about your particular illness. While the world-renowned specialist in Mayo Clinic maybe the final medical authority on your disease, how do you know how much your personal doctor knows about your illness ? Doctors cannot be experts on everything – and many specialists are also clueless about rare problems ( even though they may not be willing to be forthright and share their ignorance with you.) 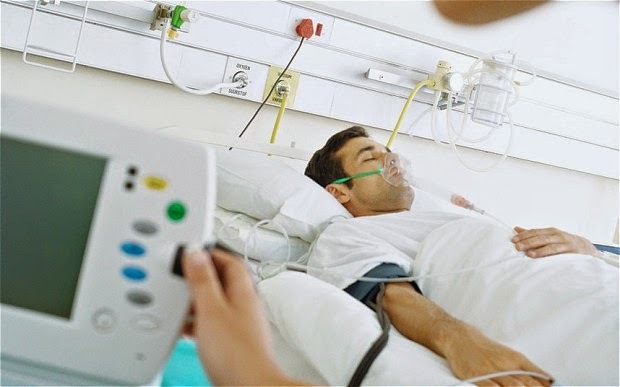 However, the expert patient who has your particular illness will know a lot about it, because he has chosen to master the intricacies of the topic. Expert patients will talk to you in terms you can understand. They will not use jargon – and neither will they dumb stuff down or talk down to you. They respect your ability to understand, and will help you to become an expert as well. Expert patients are likely to be far more empathetic , because they've been through what you are going through. Because they have no vested financial interest , they will provide you with the right advise. Even better, because you know you are now talking to a peer rather than a doctor, you are much more willing to ask questions , and work with the expert patient to drill down to find the answers which are right for you. The expert patient respects your intelligence and autonomy and will help you in your quest to find what is right for you. He will act as a coach – not just as a fountain of wisdom. This is why you can trust these expert patients. While they have always been around, today, thanks to the internet, it’s much easier to find them, no matter how rare your illness is. Many expert patients have their own blogs and websites ; and many are very active on forums and bulletin boards. Since they are willing to express their opinion online, it’s fairly easy to make out whether the expert patient knows what they're talking about , or is completely clueless . Many of these patients can be extremely knowledgeable about a particular illness . Many times their knowledge would put a doctor to shame , because they spend so much time in researching their problem. They are generous , and are willing to share the fruits of their knowledge with others. Many have a biological background , and because of their single-minded focus, can actually spend much more time on your particular problem than your doctor – even if they live half way across the world. Smart patients will make use of all possible resources which are available today ; and while this includes doctors and the medical system , it should also include the network of expert patients who are now available online in practically every disease you can name. Obviously not all expert patients are reliable. Some have a hidden commercial agenda ( because they are sponsored by a pharmaceutical company); others don't understand the big picture , and cannot interpret your information in the right context . Because they don't have professional training, some are very biased and try to extrapolate from their personal experience , to everyone who asks them for advise. They naively believe that what worked for them will also work for everyone else as well ! On the other hand, we are likely to be much more skeptical about what an expert patient says, and we do our own research to verify his statements. By the quality of their answers, we are in a better position to judge exactly how reliable they are. Even better, because the expert patient cannot actually prescribe medicines or treat us, the harm he can do is very limited. His primary role is to act as a patient advocate, and speak up for the patient. What happens if the doctor's advise and the expert patient's advise differ ? This is actually a healthy situation, because it emphasises the fact that the patient has more than one option, and he needs to apply his mind and choose what is right for himself. In fact, an expert patient's advise is often more valuable than another specialist's second opinion ( most specialists tends to provide similar advise, as their perspective is coloured because they are professionals who tend to think along the same lines ). We need to remember that this is not a confrontation ! In fact, smart doctors often refer their patients to expert patients ! Expert patients and doctors have complementary skills, and clever patients learn to make the best of both. We are all on the same side - the patient ’s ! A doctor’s duty doesn’t end with just treating the patient’s symptoms. The anxiety, fear and vulnerability of the patient and his family need to be addressed too. As the blame game between patients and hospitals continues, Dr. Malpani has come up with an idea to empower patients and make every one’s task simpler. Read more to know how he is bringing both of them together on the same page. The Times of India has a great article on how physicians and surgeons in India are attending creative and communication workshops to help increase their patience towards patients. Doctors can learn how to be patient from their patients ! We understand it's hard for patients to judge how good or bad an IVF clinic is based on just their website. After all, most websites looks very similar ! This is why we have included excerpts from our Complaints and Compliments book at our clinic, so you can read the unvarnished truth, as to what our patients think about the care we provide them. expert, and who can help them heal quickly? that second-guessing just caused patients to doubt their doctor, and this loss of faith and trust would end up harming patients and doctors as well. He also highlighted the fact that doctors, not used to having patients disagree with them, can often end up getting upset and angry with “well-informed” patients, which makes doctor-patient relationships confrontational rather than cooperative. seek it out for themselves, this would create a win-win situation. The patient would trust this information since it was coming from his doctor and would not have to waste his time wading through pages of potential misinformation. The doctor would also be more confident that the patient was well informed and had realistic expectations of his medical treatment. WHAT IS INFORMATION THERAPY ? caregivers). This information is best dispensed to a patient by his or her own doctor – the person they trust the most when it comes to their health. to help them make the best possible medical decisions. There are several ways of delivering this powerful tool – it can be clinician prescribed, system-prescribed, or consumer-prescribed. At present, most patients get information through their own research, often online where plenty of unreliable and misleading information exists. pay for performance), and a new way of validating what does and does not work in medicine (the science of evidence-based medicine). – it connects anyone, anywhere, any time to quality information. • Every clinic visit, medical test and surgery is preceded or followed by information-therapy prescriptions. • Patients will play an active role in shaping how they want information to be delivered to them. In the delivery of excellent patient care, you and every one of the doctors in your practice should be prescribing information to each and every patient. It’s very common for infertile women to be confused about reproductive basics. They often do not understand the relationship between menstrual cycle and ovulation; or the difference between follicles and eggs; or how follicles are different from cysts. We need to go back to basics, to make sure there is clarity going forward. Otherwise this poor patient will keep on going round and round in circles, cycle after cycle ! The reason your periods are irregular is because you Do not ovulate. This is called anovulation. Read more at www.drmalpani.com/articles/anovulation.htm. This maybe because you have PCOD ( polycystic ovarian disease). You can read more about this at www.drmalpani.com/articles/pcod.htm. Please send me the detailed test results and medical reports . You can scan them in as a single Word file and email them to me. 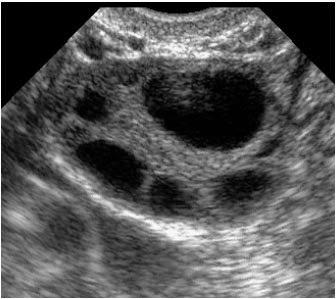 Patients with PCOD will typically have a high AMH level; a high LH:FSH ratio; increased ovarian stroma; and many small cysts arranged around the periphery of the ovary. So what’s the difference between a follicle and cyst ? A cyst is basically a follicle which does not contain an egg. They both appear as hollow dark spherical objects in the ovary on ultrasound scans. Since we cannot make out if the structure we see on scanning contains an egg, this creates a lot of confusion in the patient’s minds . To make matters worse, doctors often loosely refer to the follicles seen on ultrasound scanning as eggs. 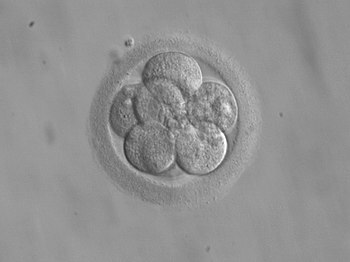 In reality, eggs are microscopic, and can only be seen in the IVF lab when the follicular fluid is examined under the microscope by the embryologist. While there are many kinds of cysts, the commonest kind we see is called a functional cyst, which looks exactly like a follicle , except that it’s larger. A functional cyst ( so called because it is functioning and produces hormones) will often result in the period being delayed, as a result of the hormones it produces. This is why it may cause the period to be delayed. It’s possible to make this diagnosis by doing an ultrasound scan. The period can be induced with medications . These cysts will usually resolve on their own. Have a query you are scared to ask your doctor because he is too busy ? Please send me your medical details by filling in the form at http://www.drmalpani.com/free-second-opinion so I can guide you sensibly!
" The unmet need in developing countries is higher still. That is partly because people have less money, but also because infertility is more common. Genital mutilation, unsafe abortion and poorly attended births cause infections that leave women with blocked Fallopian tubes, making normal conception impossible. Sexually transmitted diseases scar both men’s and women’s reproductive systems. The World Health Organisation estimates that around 50m couples worldwide have been trying to conceive for at least five years without success. Almost none of those in developing countries can hope to get treatment. The grief of infertility is sharper in poor countries, too. In Africa and much of Asia it carries a stigma, nearly all borne by women. Male-factor infertility is rarely acknowledged except when a man has failed to father children with several women. A “barren” wife is often ostracised, beaten or abandoned, or infected with HIV/AIDS as a result of her husband straying in the hope of a child. She is at higher risk of being murdered or committing suicide." India has a great opportunity to become a market leader in the low cost IVF field. Unfortunately, IVF is still not provided in teaching hospitals and medical colleges ( who can afford to provide it at a fraction of the cost which private IVF clinics charge). Not only is this unfair on poor patients, it's also means that the new generation of gynecologists has no hands-on experience in providing IVF treatment. This means that when they start practise, if they want to start doing IVF ( as so many want to these days), they are forced to attend a 7-day workshop. While this gives them a "certificate", it also means that their skills in doing IVF leave a lot to be desired, as a result of which patients suffer needlessly. This was a question a reader posed to Manju, our expert patient. Need your advice - IVF . I have been on menopur 75 iu and gonal f multi dose 450 iu from 3/7/14 to date taking 225/0 in the morning and at night. I am 42 years old. Yesterday my scan and blood test showed estrogen level of 69 with 4 follicles. I have one ovary and the size of the follicles are 7.6, 6.4, 6.1 and 6.0 the nurse said they are not growing fast enough and we should cancel on Saturday I.e tomorrow if the estrogen level does not increase and if the follicles don't grow. I need your advice.. I decided to give it my all and continue to take the meds ...I am also taking royal jelly, maca powder, flax seed in order to improve my levels by tomorrow. Any other suggestion. I want to have a baby. I hope you will reply before my visit tomorrow. I am off from work, I am unable to focus had to leave work as I was crying too much. I don't want to loose hope this is my only chance. I understand your pain. Please calm down ! Getting tensed and crying will not help a bit. I understand it hurts, but you have to have realistic expectations about your situation. You are 42 years old. You want a baby badly and decided to try IVF. When they stimulated your ovaries they found that your ovaries are not growing any follicles even after giving lots of gonal F ( this is the highest dose anyone would use ). Now you are heartbroken that your dream is slipping out of your hand and you are desperate to find out whether you can do something to grow your follicles, isolate few eggs, get some embryos so that you can become pregnant. Your wish is very much justified BUT your body is not cooperating. Your heart yearns for something but the reality is different. You adamantly hoped that everything will go on well but now it is not so. Why not accept the reality A ? Then the pain gets lesser and you can think clearly of your next move. A woman's ovary runs out of eggs as they age and that is what has happened in your case.Since your ovaries are not growing follicles even after using maximum dosage of gonal F, it is clear that your ovaries have no more eggs in them. A, I am really sorry to say this - there is nothing you can do to grow the follicles or to coax your ovaries to produce eggs; the present scientific development is not intelligent enough to help your ovaries to produce eggs. Just because you can't produce eggs it doesn't mean you can't enjoy a pregnancy or have a baby. You just have to embrace other treatment options that are available. Using eggs of a young woman will give you a very good opportunity to conceive and enjoy a pregnancy. If you ask me whether you would be able to love a baby which doesn't carry your genes - yes you will ! Actually our genes are not that important as we might think. Just close your eyes and imagine what will happen 100 years from now - none of us will be alive, NONE. Is it then worth worrying about your genes ? :) Any baby you love will be yours. So please do not lose heart. Do not get afraid and upset tomorrow if the doctor says that your estrogen did not rise as it should. Ask him what else you can do to have a baby? I am sure you will not like my answer but this is the bitter truth. I wish you lots of good luck in your endeavor! May all your wish come true! I appreciate your reply. I will ask about donor eggs. I am trying to stop crying but it's hard. Thank you for setting me straight. I just left the doctors office... the result was that we cancelled. But I came to my senses and accepted it all and decided to continue with donor egg. I guess even though I don't know you....your email helped me a lot. Thanks again! Need IVF advise from an expert patient ? Infertile Patient query - IUI versus laparoscopy ? Option 1: Use drugs such as Clomid to increase egg development and use IUI as an intervention to see if that helps. Option 2: Laparoscopy My Dr. things it might be best to do Option 1 which is less invasive and easier. 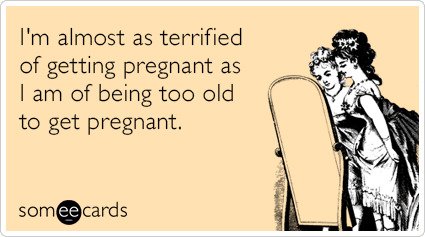 I guess I just worry, will my issues - whatever they may be - make it hard to get pregnant again later? Will they keep me from getting pregnant right now? I'd hate to do a bunch of IUIs and then find out surgery would have helped the whole thing. Three of my friends who have infertility issues all got laparoscopy, and two got pregnant after, one did not and did IVF. Both my husband and I are healthy - it's just such tough decisions. I think we will go with Option 1 but I would love to hear your opinion and other information you could give me that would help me to be better informed going through this difficult process. A is a well-informed patient – my model of an expert patient. She has done her homework, and is now on the horns of a dilemma. Her question is simple – Should I have a laparoscopy or not ? This is a deceptively simple question, but there is no easy answer. Actually, there is no one right answer, because both the answers are correct. Many doctors will advise doing a laparoscopy routinely for all infertile women. They position it as being a simple diagnostic test, with the added advantage that the doctor can “fix” problems if there are any at the same time of the laparoscopy. They tell the patient that a laparoscopy is the only way of making the diagnosis of subtle diseases such as peritubal adhesions and endometriosis, which is why it’s compulsory to perform this. It’s fairly easy to convince patients, because the laparoscopy is described as being a “ minimally invasive” surgery . “ No cut or scar – just a bandaid”. It seems temptingly easy to do, and since patients are hungry to find out what the problem is, many will sign up without even realizing that this is not always a good idea. While laparoscopy may be “minor” surgery for the doctor , the truth is that for the patient, every surgery is major ! Also, the focus should never be on finding problems – it should be on finding solutions. While it’s true the doctor may find a few minor lesions , this does not mean that these were the cause of the infertility; or that “treating” them will improve her chances of having a baby ! In fact, sometimes overenthusiastic laparoscopy can end up actually reducing the patient’s fertility. Thus, the doctor may find a small chocolate cyst which is of no clinical importance. However, now that the doctor has a laparoscope in his hand ( and can also charge more for doing an operative intervention, as compared to doing only a diagnostic procedure), he goes ahead and removes the cyst. The patient is also very happy. She feels the doctor was smart, because he has diagnosed the problem, and treated it. However, 6 months after the laparoscopy, when she fails to get pregnant , she realizes her hopes were misplaced and she is back to square one ! In fact, this surgery may end up reducing her fertility , as normal ovarian tissue is also removed along with the cyst wall, thus reducing her ovarian reserve. Most good doctors prefer being conservative. After all, the first rule of medicine is – “ Do No Harm”. They prefer using non-invasive tests to make a diagnosis, rather than doing a laparoscopy. After all, no one cares about problems – we only care about results – about having a baby ! The next step would be IUI. We prefer HMG/IUI, as this has a higher pregnancy rate than clomid/IUI. If 3 cycles of IUI don’t work, then we suggest IVF. This “stepped-care” treatment plan does not need a laparoscopy, as the laparoscopy does not affect the treatment options at all. Finally, patients should remember that while the process is in their control, the outcome is not. The should follow their personal path of least regret, so they have peace of mind they did their best. Need your query solved ? Please send me your medical details by filling in the form at http://www.drmalpani.com/free-second-opinion so I can guide you sensibly ? When I review the medical records of patients who have done IVF in other clinics , I'm quite amazed by the amount of testing which they've undergone . A lot of these tests are extremely expensive -and many are exotic ; of unproven value; and provide information which is of no clinical use. It’s a long list – and includes: NK cell testing; pregnancy destroying factor; TB PCR testing of the endometrium; and TORCH tests. Why do doctors do so many unnecessary tests ? One is financial. It’s much more profitable to order the test , and it's often easier to do this. One of the reasons doctors order tests is that this is an easy way of terminating the consultation, so they can move on with seeing the next patient. This is much easier than spending 10 minutes explaining why the test is not needed. Not only does this eat into the doctor’s time, they can’t charge for this either. This is because the system doesn’t reimburse doctors for talking to the patient – even though this is often far more useful ( and much less harmful) than ordering tests and doing procedures ! On the other hand, the doctor can order the test, charge the patient, and say – Please come back and we will discuss treatment options once we get the results ! Lots of doctors crave certainty , and when we come across problems for which we don’t have clear answers ( for example, why a perfect looking embryo did not implant), the standard knee jerk reflex is – We need more data in order to find out what’s going on, so it's quite logical to order tests to get to the root of the problem. ( Some doctors like to think of themselves as being scientists who are running experiments on their patients). Unfortunately , more information doesn't always help. Many studies ( across multiple fields ) have shown that more information often just increases the expert’s confidence levels , but does not improve accuracy. Many of these test results don’t actually help to improve clinical outcomes – and these results often just add to the noise, without improving the quality of the signal. Doctors love doing tests. These are modern, cutting-edge tests ( many use complex genetic analysis, which is Greek and Latin to most patients, and their doctors as well) , and this is a clever way of signaling to the patient – I am well-informed, which is why I am ordering the latest, newest, state of the art tests for you. Sadly, your earlier doctor was clueless, and didn’t even know about these tests, and this is why I am better than he was. 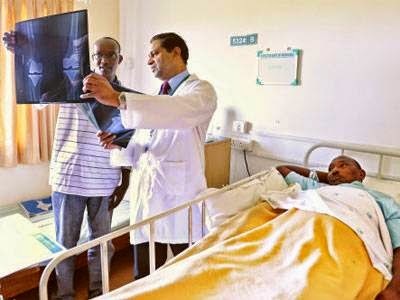 Patients also contribute to the problem, because they expect the doctor to order tests when they see him. Few patients have the maturity to understand that when a doctor says he doesn’t know (rather than trying to fob you off by ordering more tests in order to cover up how little medical science understands about many complex areas) . this actually means he’s a good doctor because he is sharing the limits of medical knowledge with you . There are still huge areas of ignorance in IVF , and we need to learn to live with these. While research labs will continue trying to push the frontiers of our knowledge, this is not the right approach in a clinical setting – especially where the patient has to pay out of her pocket to do tests which do not help her to have a baby. Doing more testing is not the right solution . Sadly, most patients don’t even understand that these tests on experimental and unproven ! Because they are new and expensive and are aggressively promoted with the help of colourful brochures ( and incentives paid to the doctor as well), it’s easy to convince patients that more is better ! 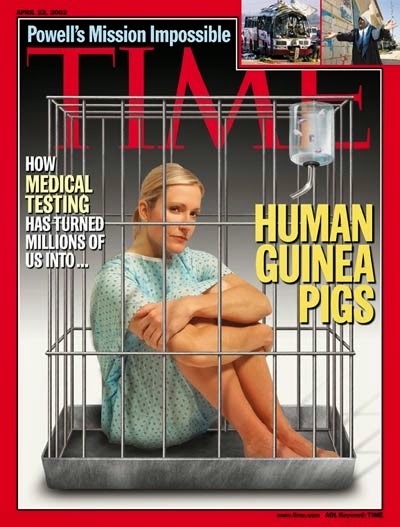 Infertile patients are often so desperate , that they are willing to be used as guinea pigs . Patients will often put pressure on the doctor by saying – Doctor, is there anything else you can do for me ? Any other tests you can order ? It’s very tempting for the doctor to buckle down under pressure and order the latest test – often once he has heard about in a medical conference , or read about in a medical journal article – especially if this has been published abroad). Ordering the test is the easy bit - interpreting the result is extremely hard ! The major issue is the problem of false positives – when the results are abnormal, but are not related to the patient’s clinical problem . These are a major hazard of all tests , and will often lead to more testing , because the doctor then starts chasing red herrings . A lot of time and money is wasted on unnecessary treatments as well , in order to “treat” these abnormal results. The damage done in barking up the wrong tree is often concealed, until the patient gets a second opinion. A common justification for overtesting is – Lets run the test just to make sure that we aren’t “missing” anything; or we need to rule out a treatable cause, so let’s just order the entire panel of tests. After all, how can it hurt ? This is one of the reasons good IVF programs have well-defined protocols , which clearly demarcate what tests are acceptable , and which are experimental and unproven . This is especially true when the government pays for IVF treatment in countries such as Scandinavia . Remember the aphorism - Good surgeons know how to operate, better ones when to operate, and the best when not to operate. This is true for IVF specialists as well. 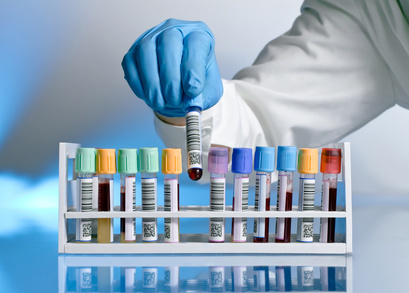 Good doctors know which tests to order, better ones know how to interpret them, and the best know when not to test ! Worried that your doctor is wasting your time and money on doing too may tests ? How does the patient judge the quality of care provided – whether or not the doctor did a good job technically and followed all the right medical processes ? Sadly, most patients are never certain whether she should change the doctor for her next cycle; or if sticking with the same clinic is her best choice. This is the key difference between the expert patient and the uninformed patient . The uniformed patient is clueless about the treatment details – they do not know what the right treatment involves, and they are not even aware of what was actually done. Bad clinics exacerbate this problem by keeping patients in the dark. On the other hand, expert patients are sophisticated enough to demand openness and transparency and will refuse to go to a clinic which does not routinely provide photos of embryos. Poorly informed patients have unrealistic expectations of IVF treatment . When the cycle fails, they will often blame the doctor for the failure . Their doctor, on the other hand, will blame them for the failure, by saying they did not follow instructions properly ! This is why they lose confidence in themselves - and in their doctor as well. The expert patient has done her homework before the IVF cycle starts. She knows exactly what steps are involved in an IVF cycle, and takes an active interest in ensuring that the steps are being followed properly . When things go according to plan , she knows the process was performed properly , so even if the outcome is bad , they do not end up blaming the doctor – or themselves. They have peace of mind that they received good-quality medical care ; and know that for them it's just a matter of time till they get pregnant . Doctors also find it much easier to manage these patients, because they have realistic expectations, and don’t go to pieces if the cycle fails. Expert patients can proactively identify deviations and deficiencies in the treatment process . They are able to understand what can be done differently the next cycle , in case things don’t go according to plan. They can discuss with the doctor what changes can be made to the next treatment protocol , to increase the chances of achieving a pregnancy ; or they may decide to change the doctor. A good analogy is investing in the share market. Both IVF and the share market have risks and uncertainties. No matter how expert your financial advisor is, the market can go up or down, for reasons which are beyond his ( or anyone’s) control. A sophisticated investor doesn't lose his cool just because his portfolio goes down . He takes things in his stride and is mature enough to take a long-term perspective, because he knows that historically the odds are in his favour. The uninformed investor , on the other hand, panics when share prices drop . He doesn’t have enough confidence in himself , or in his financial advisor, to be able to manage the ups and downs of the share market ride, which can be very bumpy. He often ends up buying high and selling low, and consistently losing money in the process. The average patient also ends up burning her fingers , partly because she is capable of identifying the right doctor; or making sure that the right medical treatment process was followed. Some patients refuse to invest the time and energy which is required to allow them to become expert patients – and this can prove to be very expensive in the long run, both in the form of wasted opportunities and wasted money. The good news is that it's no longer difficult to become an expert patients. 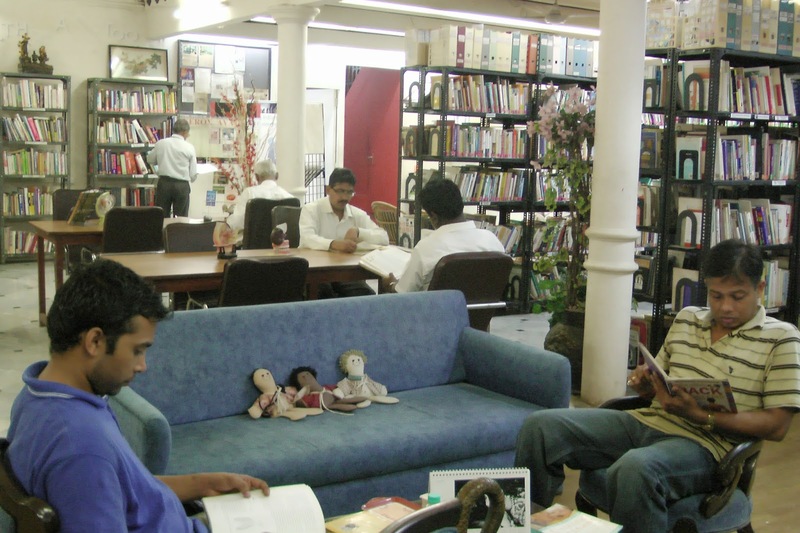 There are tons of online resources available , including free e-learning courses and games, and you can check them out free at www.ivfindia.com. So what are the possible combinations ? 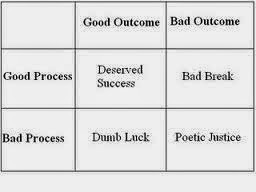 Good process plus bad outcome = bad luck. Try again ! Bad process plus good outcome = dumb luck. Count your blessings ! A good doctor, just like a good financial investor, will spend time educating you about the risks and uncertainties involved in IVF, so that you have realistic expectations of the treatment, and can manage the IVF emotional roller coaster ride without losing your cool. Remember that we cannot control the outcome - but we can ensure the process followed was impeccable ! Want to make sure you are getting good quality medical care ? Please send me your medical details by filling in the form at www.drmalpani.com/malpaniform.htm so that I can guide you better ! Clear, specific patient education helps patients - and surgeons ! Decision and communication aids used in orthopaedic practice had benefits for both patients and surgeons. These findings could be important in facilitating adoption of shared decision-making tools into routine orthopaedic practice. Some surgeons are worried that if they tell the patient all the possible risks and complications of surgery, they will be scared and refuse the surgery. As this study shows, this is not true ! Surgeons need to respect their patient's intelligence, and help them to make the right decision for themselves by sharing information. Patients trust doctors who are open and transparent.